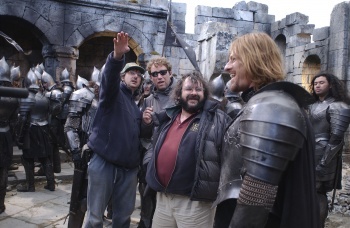 Peter Jackson will still direct the movies, but they won't start filming next month, as originally planned. The start of filming on the Hobbit movies has been delayed once again to give Jackson time to recover from stomach surgery, following his admission to a Wellington, New Zealand, hospital with a perforated peptic ulcer. If left untreated, a perforated peptic ulcer can have dire consequences. Thankfully, the surgery was a complete success and in a statement, a spokesperson for the director said that doctors expected him to make a complete recovery. The spokesperson added that apart from the slight delay, the surgery would not have any other impact on Jackson's commitment to the movie. This new delay is just the most recent entry on a laundry list of problems that the production has faced, from legal battles with the Tolkien foundation, to financial problems at MGM, all the way up to labor disputes with the actors' unions. Filming was scheduled to start on the two-part story in February, but now it seems that March, or perhaps even later, is a more likely bet.